Australian company's Agora smartphone not shipped because of "potential future interoperability issues". What might have been: The Kogan Agora. Melbourne-based company Kogan today announced that its Android-based smartphones, the Agora and the Agora Pro, have been "delayed indefinitely". The cancellation, announced on the company's blog, comes only two weeks before the phones were meant to be released. The company cites "potential future interoperability issues" as the key reason behind the phones' cancellation. "One potential issue is that developers may create applications for the Android operating system at a higher resolution and screen size than the Agora provides in its current form", Ruslan Kogan said. "The Agora reached a very late stage of development, manufacturing had commenced and we were within days of shipping the product to customers. But it now seems certain the current Agora specifications will limit its compatibility or interoperability in the near future." The company still plans to release an Android-based smartphone, but it may not be the Agora. Ruslan Kogan wrote in his blog that the company will "look to develop and release a new phone as soon as possible". 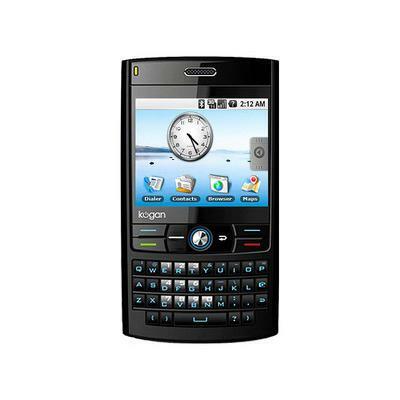 The Agora would have been the second smartphone to support Google's Android operating system. The company will refund any customers who pre-ordered the device through its Web site.